On 28 June 2016 the Creative Europe Desk Italy – Culture Office – MiBACT will be in Naples for a Infoday on Sub – Culture of Creative Europe Programme . The event is scheduled from 9:30 to 12:30 at the Neapolitan Society of National History – Castel Nuovo – Maschio Angioino . After a welcome coffee and greetings of Adele Campanelli , Superintendent Officer Archeology of Campania and Maria Giovanna Romaniello , President Luetec , Marzia Santone , Project Officer of Creative Europe Desk Italy – Culture Office, will present the objectives and priorities the Sub – Program Culture and analyze the call on European cooperation projects , which It will be published in the coming months . Follow Anita D’Andrea , Project Assistant of Creative Europe Desk Italy – Culture Office , which will present the European Platform and the Network. Creative Europe is a program framework of 1.46 billion euro dedicated to the cultural sector Creative for 2014-2020, comprising two subroutines – Culture and MEDIA – and by a sectioncross-sector, which provides tender annual and a guarantee fund for cultural and creative industries, which will start in the coming months. The Culture Sub-program of Creative Europe co-finances: Cooperation projects transnational between cultural and creative organizations within and outside the EU; network that help the cultural and creative sectors to operate transnationally and to strengthen their competitiveness; translation and promotion of literary works through the EU markets; platforms that promote emerging artists and stimulating programming essentially European cultural and artistic works and audience development. The Creative Europe Desk Italy is the Creative Europe Programme at national contact point. Coordinated by the Ministry of Heritage and Culture and Tourism, it is part of the networkthe Creative Europe Desk, co-financed by the European Commission. 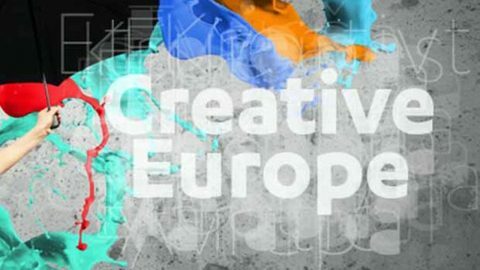 The Creative Europe Network Desk was created by the European Commission to provide free technical assistance Creative Europe and to promote the program in each participating country. In Italy the Office Culture of Creative Europe Desk is born from the long experience of the former Cultural Contact Point UAE, national point of contact on the Culture Programme 2007-13.